I’ve worked with the guys from Just Me Again and it’s always a good time. 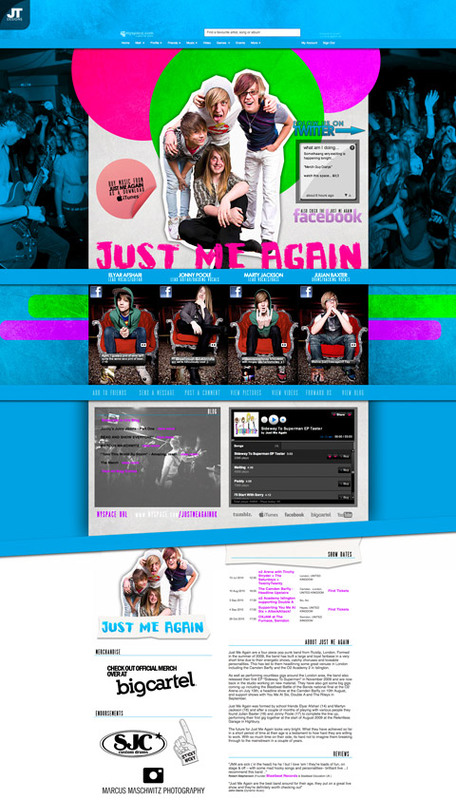 The guys have just had their Myspace properly designed and they used a few photographs from our last shoot together and I think it looks really good and presents the guys quite well. The guys are really young still but amazingly talented with more dedication than most bands older and more experienced than them. I have a strong feeling that these guys are going to go really far with this project …. and even if they don’t, they will have the best time of their lives either way.